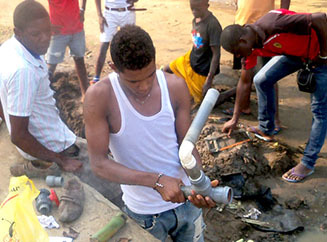 According to UNICEF, 54.3% of Angola’s total population is under the age of 18 years-old. The statistic presents a huge opportunity for the country as the working population grows. Young people will also play a key part in carrying through with the sustainable development agenda and finding solutions to the major challenges we will collectively face in coming years. However, in order to take advantage of this opportunity, four key areas must be addressed, according to the United Nations Population Fund: an increased investment in young people’s professional capacity, increased opportunities for employment, expanded access to contraception and improved access to financial services. 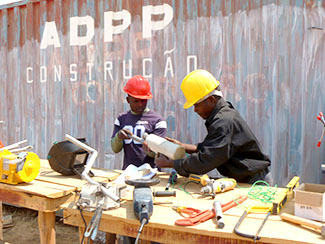 To help equip young people for the labour force, ADPP Angola is working to provide youth with a lower-secondary qualification as well as technical trade experience. The first Escola Polivalente e Profisional opened in 2011, and there are now 8 schools operating in 6 provinces. The schools are approved as basic technical and professional training providers by the Ministry of Edcuation, and students graduate with a Grade 9 school leaver’s certificate and a specialization in a chosen trade or profession. 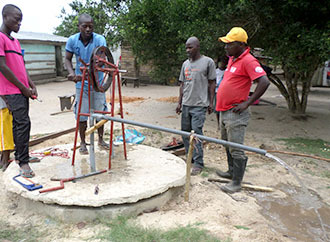 There are a total of eight different specialisations for students to choose from, including Environmental promoter, Water Assistant, Modern Cook, Preschool Assistant, Community Health Agent, Information and Communications Assistant, Energy Assistant and Food Producer.